In her latest cabaret show, Good Girl/Bad Girl – which premiered last Wednesday at the Slide Cabaret Festival – Avigail Herman plays an author, who is writing a series of stories based around the seven deadly sins but who has encountered writer’s block and is struggling after finishing just three. Inspired by Audra McDonald’s 2004 song cycle around the seven deadly sins, Herman uses the framework of a Writer’s Support Group – us – to whom she confesses her pride, laziness, relationship breakup and trips to therapy and rehab. She sings some of McDonald’s material (“My Book” by Jeff Blumenkrantz, “I Eat” by Stephen Flaherty & Lynn Ahrens, “The Greedy Tadpole” by John Pizzarelli & Jessica Molaskey) but also includes her own, eclectic choice of songs by Stephen Sondheim, John Bucchino and Lance Horne among others. There isn’t a great deal of patter so at times it feels more like a concert. And since the songs aren’t widely known (the person I went with didn’t know any of them), it took time for the Slide audience to warm up. You could feel the instant response to the humour in “Making Love Alone” and during another number, which keeps breaking into well-known songs from musicals such as “Midnight” from Cats, a few in the audience yelled out “sing it all!” She didn’t oblige as the show is clearly tightly structured. But a couple of better-known numbers might help draw people in more quickly. A little more chat and humour between songs might also help establish a closer rapport with the audience. Nonetheless, I really enjoyed the show and the choice of songs. Herman is singing beautifully, still floating her soaring top notes with effortless ease and really connecting emotionally with the lyrics. “I Eat”, in which a lonely woman eats to fill the void, is particularly moving, as is Sondheim’s “We Do Not Belong Together”, but all the songs are well interpreted. And Herman’s bubbly personality does come through – it would just be good to give it a little more room to shine. 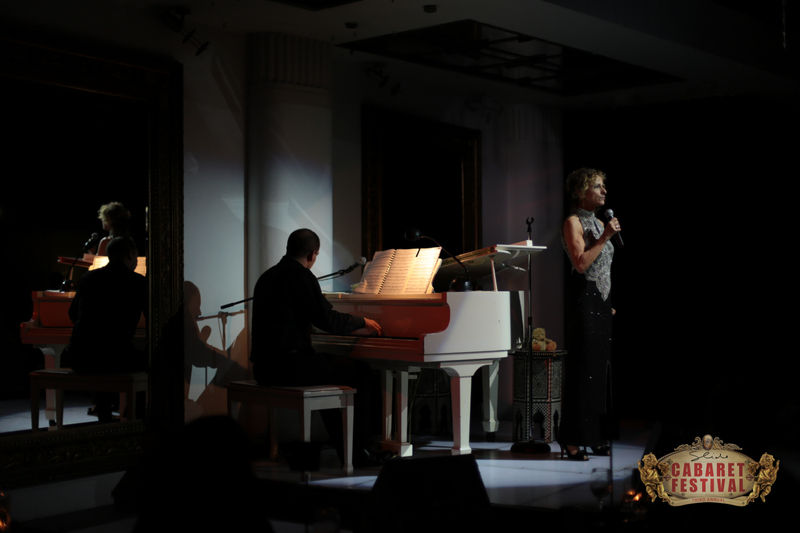 This entry was posted in Cabaret and tagged Avigail Herman, Slide Cabaret Festival by jolitson. Bookmark the permalink.